A nurse working in one of Fraser Health’s Emergency Departments was violently assaulted by a patient last year. The assault left the nurse physically and emotionally harmed and, like other healthcare workers who have experienced similar incidents, return to work is difficult. Unfortunately, similar circumstances occur too frequently across our healthcare system in Canada and globally. Dr. Urbain Ip, an Emergency Room physician, has experienced violence in the workplace. The issue of violent and aggressive behaviour towards healthcare staff has become increasingly higher profile over recent years, particularly in high-risk areas such as Emergency, Mental Health, and Residential Care, where patients may be agitated and unpredictable. 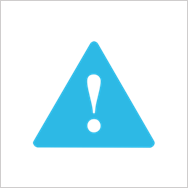 Dave states that of the 80,000 calls received annually by the provincial Workplace Health Call Centre – a provincial call-in centre for staff who are injured at work – approximately 18% are the result of incidents of violence or aggression from patients. Michael Marchbank, Fraser Health President and CEO, sends a clear message to staff and physicians that prevention of violence and aggression towards healthcare workers is a high priority for the organization, including a commitment to provide a safer work environment through the implementation of several strategies. Carly, a Care Aide at Burnaby Hospital, has experienced violence in the workplace. 96% of staff who work in Emergency and Mental Health and Substance Use have completed the mandatory eLearning modules and classroom sessions with a trained facilitator. Residential Care staff will be expected to do the same in 2016. This training is ongoing and is intended to expand to more care areas across Fraser Health. Other BC health authorities have similar plans in place for this year. Twelve site-specific hospital Violence Prevention Action Plans are complete and being actioned, including a review and enhancement of Code White (or Alternate Response to Violent Behaviour) procedures. And Workplace Health has initiated more than one hundred department-specific violence prevention risk assessments to make sites safer. Improved personal protective devices and a new Emergency Department interview and treatment space and seclusion room are being added to care for high-risk patients at Abbotsford Regional Hospital. And a dedicated 24/7 security officer is stationed in the Emergency at Abbotsford Hospital. A Client Services Ambassador Program has been introduced at Royal Columbian and Surrey Memorial Hospitals. Designed and operated by Integrated Protection Services, the program introduces a specially trained Ambassador employee into the Emergency Department to recognize and de-escalate potentially aggressive and violent situations. The staff focus on putting people first and help to increase communication, collaboration and awareness across the Emergency department. These individuals are contributing to meaningful reductions in physical and verbal aggression. 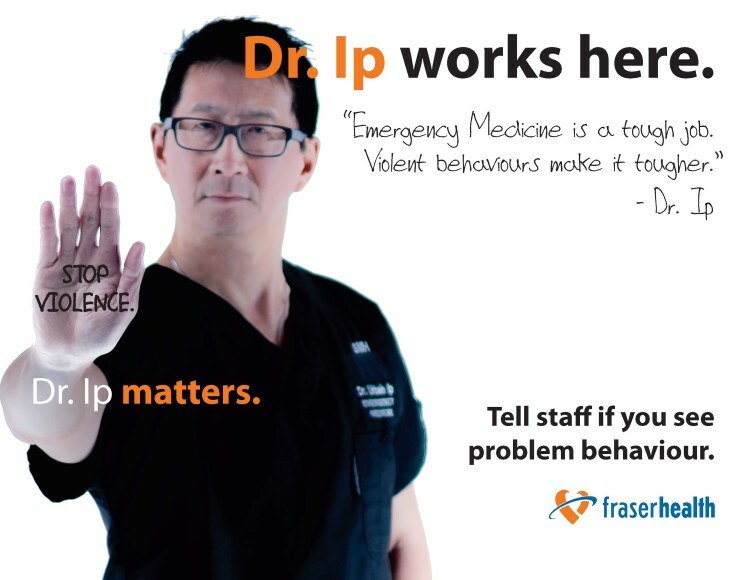 Fraser Health Communications has developed educational materials for staff to share their experience of violence to increase public compassion for healthcare workers and raise awareness of the issue of healthcare violence to educate the public that violence is not tolerated. A new specialized regional Violence Prevention Team has been created to coordinate staff education and training sessions and, in conjunction with the Workplace Health Safety Consultant Team, to conduct violence prevention risk assessments across the region. This team and the training has been possible through BC’s “Health and Safety in Action” funding. The Unsafe Behaviour specialized report form was launched across the province in February 2016. BC PSLS Central Office is working with Dave and other subject-matter experts to explore ways to enhance reporting and to learn how best to prevent patient violence and aggression towards staff. A new specialized report form for Unsafe Behaviour was recently launched across the province to help us identify where these problems are most commonly happening, and the circumstances that surround them, so we can learn more about how to prevent them from happening, mitigate the harm associated with these events, and improve safety for all. Thank you for the Article Michelle and Dave. Dave, you are my hero! As an occupational therapist in acute mental health, I am against such signage, especially in a prominent place on an IPU. I hope to promote a therapeutic environment for our patients. The message to be clearly conveyed, first and foremost, is that we are supportive of our patients and their well being. This sign comes across as aggressive, heavy handed, literally, rather than as a friendly reminder. Thank you for your feedback, Michelle. We have passed it on to the organizers of the campaign.